Trucking blind spots . Transport for NSW have done a great job of making an incisive ad, which gets its point over in a smart and believable way. The vast majority of car drivers not only know nothing about the issues around things like trucking blind spots and visibility in a truck. Many car drivers sit cocooned in their own car, with safety systems turned on and do what they want to do and are surprised when other drivers get upset. 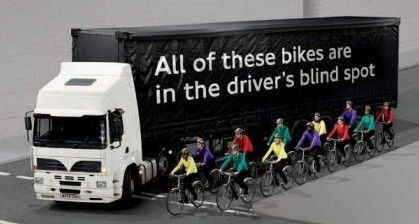 Unfortunately, many drivers tune out the trucks moving around them. They assume the truck driver will be able to cope with their actions and their car will remain untouched. However, if the inevitable happens and the truck and car do collide, the damage and risk to life is much more severe than if two cars were involved. There is also an automatic assumption from everyone outside the trucking community, the truck must be to blame. The media describe any accident which involves a truck, in any way at all, as a ‘truck accident’, assuming guilt from the get-go. Remember: if you cannot see the truck driver’s mirror, the truck driver cannot see you. Allow for time to stop safely. The table below shows comparisons of stopping distances for cars and trucks when travelling at the same speeds. If driving in weather conditions such as the wind and rain always leave more than the recommended following distance. 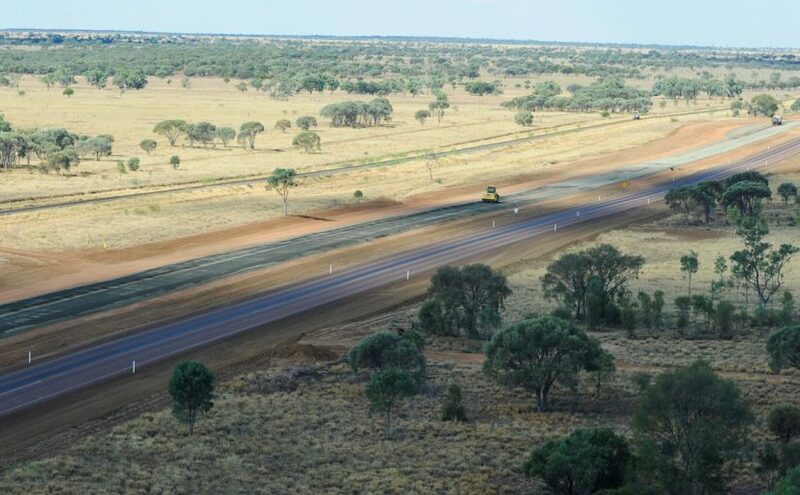 The Australian Government will deliver almost $20 million to upgrade and widen 24.8 kilometres of the Landsborough Highway, north of Longreach, Queensland. Federal Minister for Infrastructure and Transport Darren Chester said the project aims to improve safety for road users between Longreach and Winton on the highway. 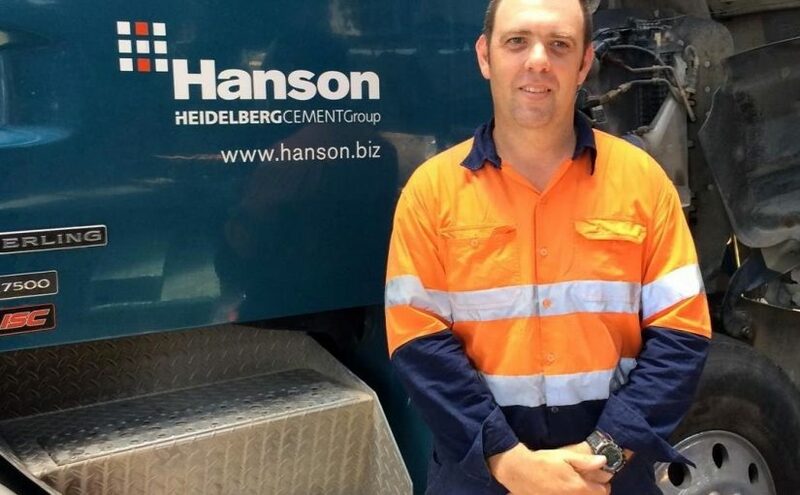 “The Landsborough Highway is the main north-south route serving western Queensland, and I’ve seen for myself the poor condition of sections between Longreach and Winton, with an ageing surface and a number of safety issues,” Mr Chester said. Federal Member for Maranoa David Littleproud said the works would support the region’s economy and communities. “These upgrades are an investment in the productivity and prosperity of western Queensland communities by building stronger road surfaces, wider lanes and better flood immunity—particularly at Dingo Creek and other low-level crossings,” Mr Littleproud said. “Freight traffic is forecast to double on this route, which makes these works critical to the future success of the grazing and resources industries and the safe and efficient movement of freight. “The industries of northern Australia, including those in western Queensland, contribute billions to our national economy, and investing in these key arterial roads means they’ll be able to continue developing—creating jobs in our regions and cities, and fostering new and emerging industries for generations to come. Works are expected to be completed on the joint Australian and Queensland government-funding project by mid-2020. $64.8 million Perth interchange project.. The works will require design and construction of a bridge at the Wanneroo Road and Ocean Reef Road intersection, traffic signalised on and off ramps, drainage improvements and the realignment of paths and pedestrian crossing points. The project forms part of the $2.3 billion Federal-State infrastructure package, which supports 17 new projects around Western Australia. The previous works on Wanneroo Road include the widening of Wanneroo Road to Flynn Drive, which is under construction, and the upgrade of the Wanneroo Road and Joondalup Drive intersection, which is currently in the planning phase. Western Australian Minister for Transport Rita Saffioti said the three upgrades to Wanneroo Road will be integral to the growing northern suburbs communities. 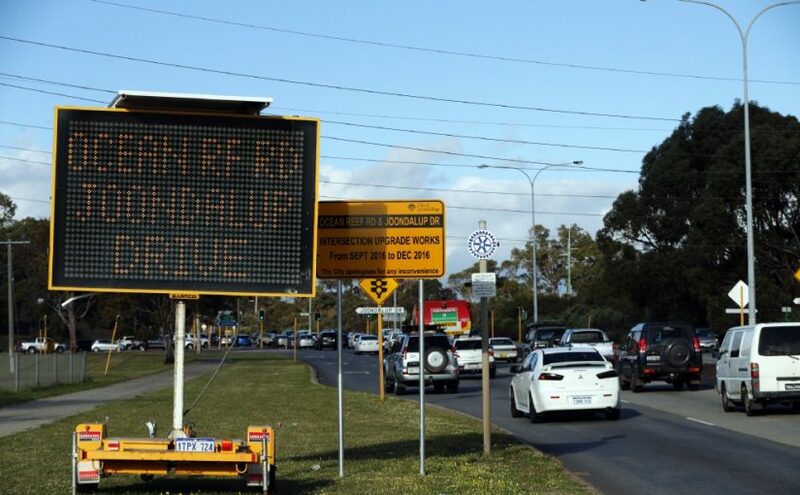 “Traffic volumes on both Wanneroo and Ocean Reef Roads are expected to grow rapidly as Perth’s northern suburbs continue expanding,” Ms. Saffioti said. “Upgrading the intersection will relieve pressure on the existing road network and create more efficiency, which in turn, will support economic activity in the area. Construction on the project is expected to begin in late 2018, with completion due in late 2019.